I was born and raised right here in Marietta,Ga. After graduating high school in 1998 I attended The University of Georgia for pre-nursing. I then transferred to Kennesaw State University to complete my BSN degree. After my first year of nursing school I was thriving academically but didn't feel completely fulfilled by this career choice. 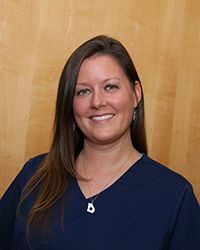 The following year I decided to change my path and worked as a dental assistant while exploring which avenue of healthcare I was going to pursue. I realized I loved working in the dental field! 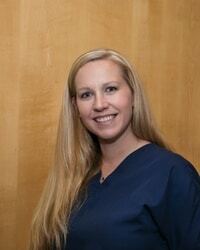 I decided that becoming a Dental Hygienist was the perfect fit for me and my "future" family! I attended Clayton College and State University where I received a Bachelor of Science in Dental Hygiene degree in 2003. I love people and having a job where I can not only provide them with a valuable service for keeping their bodies healthy but also have the chance to get to know them on a long term basis is awesome! I am still a huge Bulldogs fan and spend every fall watching the games with my husband and teaching my two kids to cheer on the Dawgs! Working here at Dr. Kurtzman's office is like being home again! I look forward to many years of being part of this family and getting to know all of you! I am a true Georgia Peach and I haven’t strayed far from my hometown of Powder Springs. I joined Dr. Kurtzman’s office in August of 2014 and have thoroughly enjoyed being a part of this awesome team! I met Dr. Kurtzman while I was working at a bank; I had recently gotten married and was looking for a more fulfilling career. Around that same time Dr. Kurtzman had an opening come available and it just seemed meant to be. I am new to the dental field and I feel very fortunate to work for such a great dentist who provides such high quality treatment to each and every patient who walks through our door. I look forward to many years with this team and getting to know each and every one of you along the way. I was raised in Henry County, Georgia and currently reside in Carrollton. I am a graduate of West Georgia Technical College with an AAS in Dental Hygiene Degree. I am also an Expanded Duties Dental Assistant through the State of Georgia and a certified CPR and First Aid Instructor with the American Heart Association. 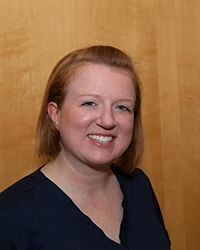 My passion for dental health started in high school working as a dental assistant through my school cooperative program. It is that same passion that brought me back after years working with foster children, special needs students, and senior citizens. I, myself, have experienced fear at the dentist and can fully relate to patients’ anxiety. I knew after the first time I worked with Dr. Kurtzman and our staff that this was my perfect fit. 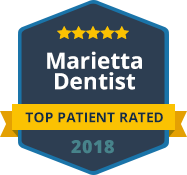 I love working with our patients and being part of an incredible team that truly cares about patient comfort and positive dental experiences. I have been married since 2001 to my husband Brian, who works in fire and EMS with Union City Fire Department. We have two teenage sons, Conner and Ryder, that keep us busy with basketball, baseball, and football. When we are not in the gym or on the field, CPR instruction is a family affair and we have enjoyed teaching our sons the importance of saving lives. Our family enjoys all things Georgia Bulldogs and we love spending time at the beach, as well. Our lives are also fulfilled by supporting and volunteering with Special Olympics of Georgia. I look forward to meeting all of you and working together to make your smiles shine!